My zebra had a quite bad tint from the beginning and today i finally had some time to change the LED. I also went from XHP35-HD to XHP35-HI to see how i like the little light with a bit more throw. On the first picture you can see a little solder on the screws, but that had little effect and the screws came out very easy. For the soldering i used a cheap 858D hotair station. 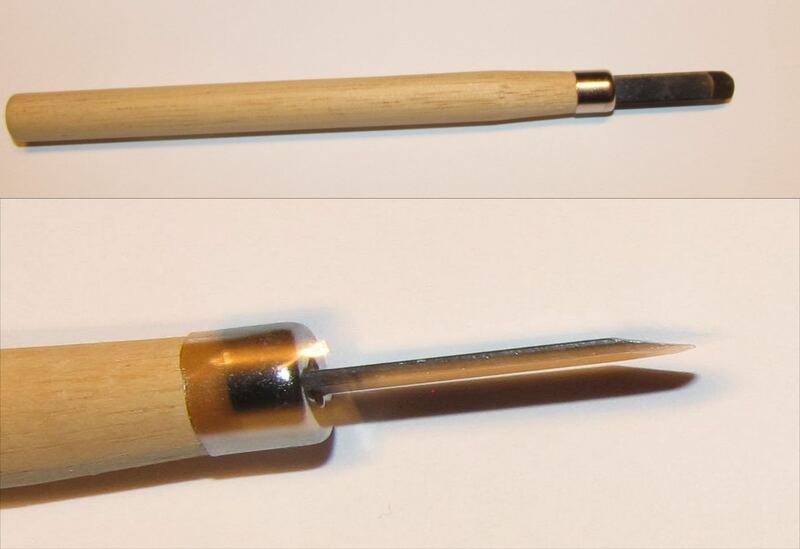 It’s a small wood-carving knife i picked up at the hardwarestore. 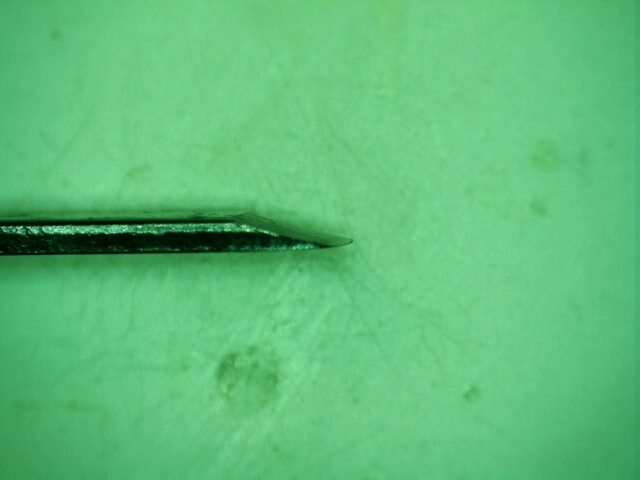 You can’t really see it in the picture, but the tip is ground slightly convex. I could slip it under the retaining ring, move it around a little, and the light popped right open. Now i just have to test how i like the light after the mod. If i can manage to take beamshots, i will post them here as well. Very nice. 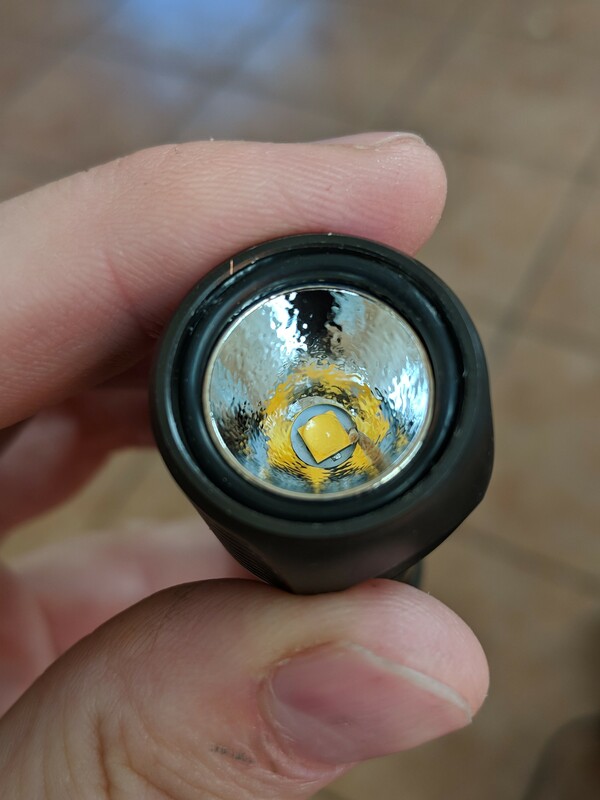 I like Zebralight driver but hate the tint lottery on their lights. Good to know the emitter is swappable. 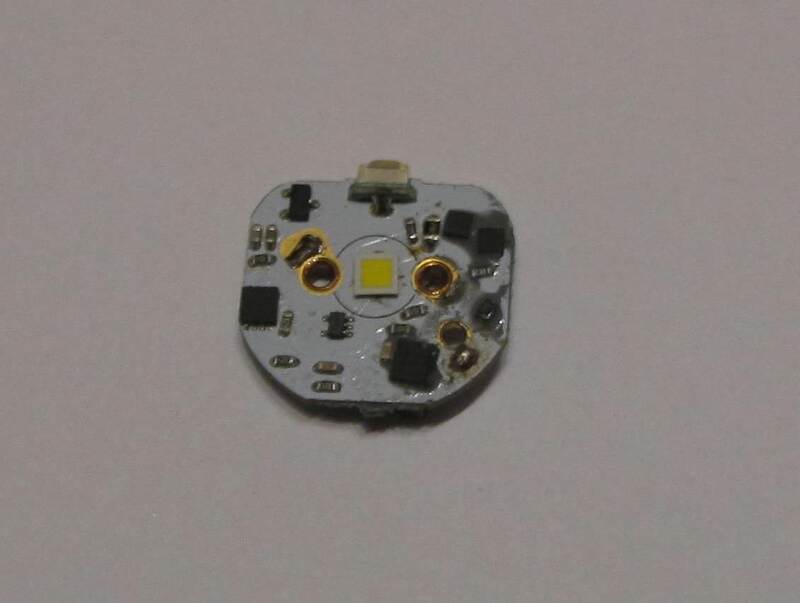 How did you manage to reflow the emitter without desoldering any components on the back of the board? Also, did it come away from the body cleanly? SC62 disassembly attempts have resulted in components being ripped off the rear of the board because they are potted in cutouts. Can you publish full sized photos? Thanks. I did’t do anything special to keep the components in place. Here is a thread in CPF where you can see the backside of the driver. Basically i blew hot air from the top in direction of the switch. As you can see, there are no compontents in this area on the backside. For the other components: Either the solder didn’t melt, or, if it melted, the surface tension was enough to keep the components in place. Your tool sits in the little lip at the bottom of the bezel, right? 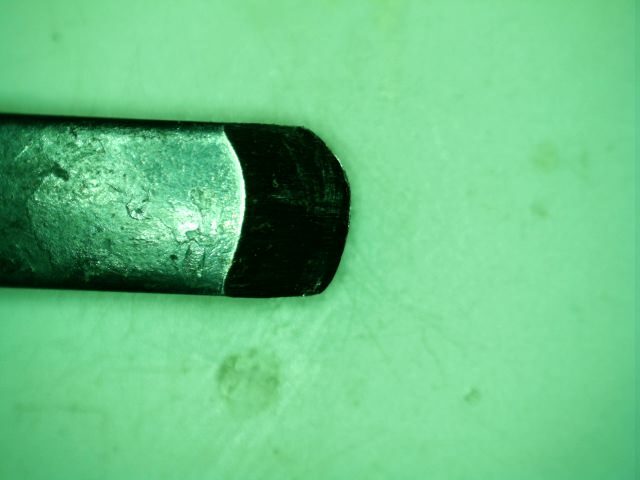 It’s absolutely tiny (had to get out a loupe and razor blade), but I assume a big flat round tool with a lot of area in contact can get enough grip to pry without serious damage. Could you go through the process of the hot air reflow? I assume you used a fine tip on the hot air and heated up the original emitter until it was released, but did you have to retin the pads? 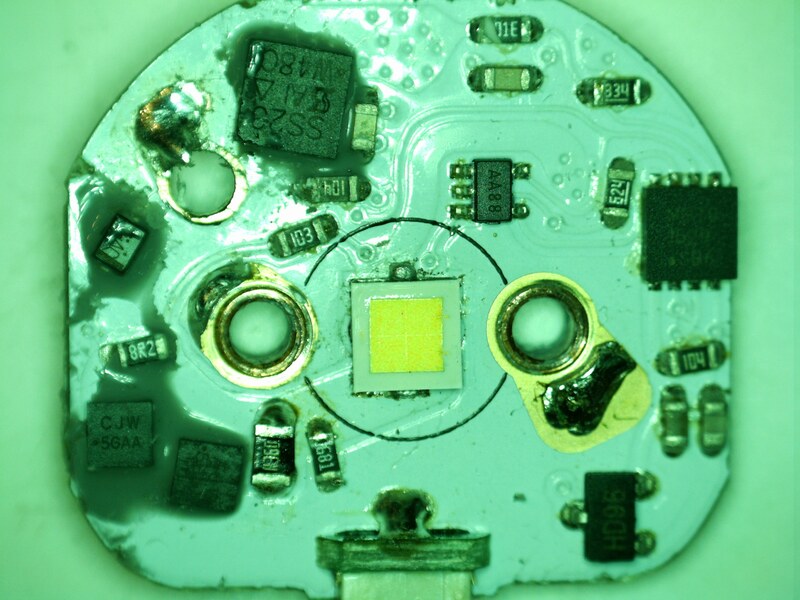 What about letting the LED self-centre and tap out any excess solder while maintaining the heat without damaging the dome? I’m kind of flabbergasted by how well this turned out since I decided not to bother trying because of the complex double sided board. Very impressed and thank you for sharing. Yes, the tool sits directly in top of the glas. I also tried it with razorblades, but those were too thin and kept bending before i could slip them under the ring. With the carvingblade i could apply some very light presure to compress the o-ring under the lens and then slip the blade under the ring without breaking the glass. Then i moved the blade around the ring without much prying, to lift it a tiny bit. After I made the full circle the ring popped out. For the reflow i used a 5mm nozzle and moved it in little circles around the emitter until it came of. I had to retin the pads on the driver, which i did with some standard solder and a chisel-shaped tip. 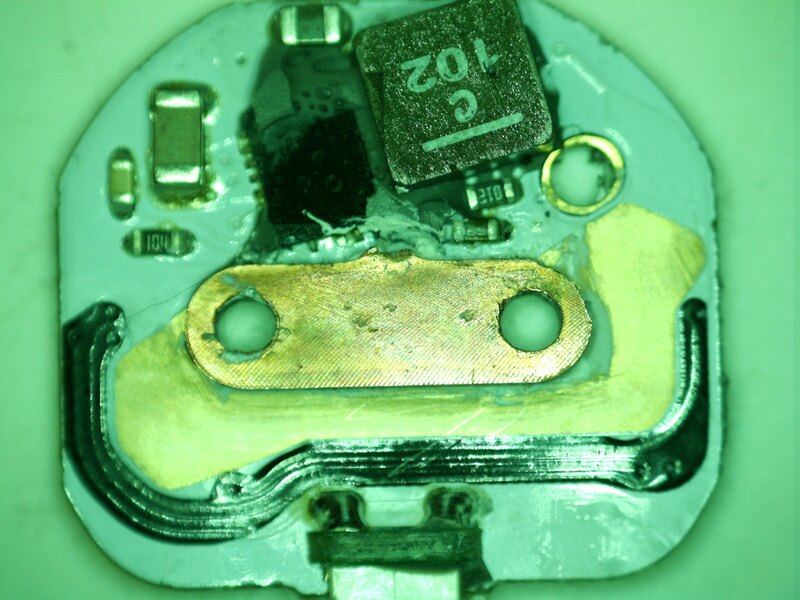 Before reflowing the new emitter i applied a tiny amount of flux, then i reheated the pads until the solder melted and put the new emitter in place. The self centering worked as usual, and i could press the emitter down at the corners with some tweezers to squeeze out excess solder. I will try to post some more pictures to illustrate the process. Please excuse the bad quality. Thanks, your video demonstrates the process perfectly. Serious props for actually opening the light and giving it a shot even though current straight Zebralights are generally considered unmoddable! I chickened out and returned an SC64c earlier this year because the stock XP-L2 was ugly and I had visions of everything falling off the back of the board as soon as I tried to reflow the emitter. 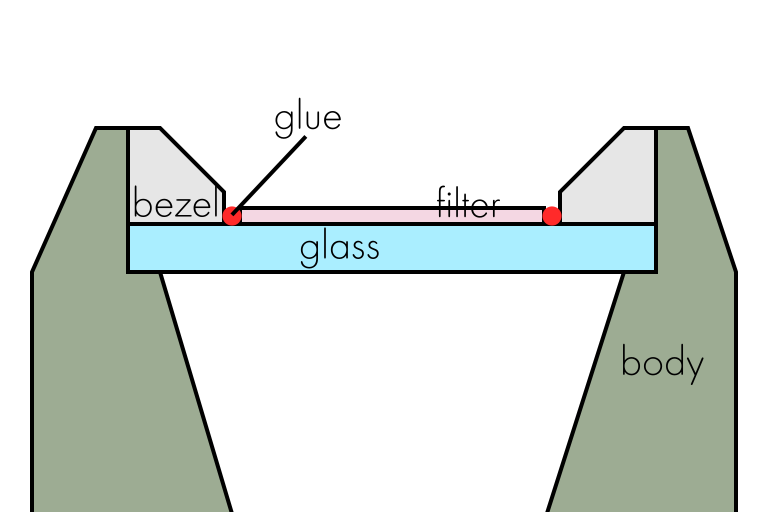 Would you mind measuring diameter and thickness of the glass lens? Most impressive moridin! I’ve been tint lottery lucky with my 2 ZebraLights, so fortunately I don’t have to attempt what you’ve done. 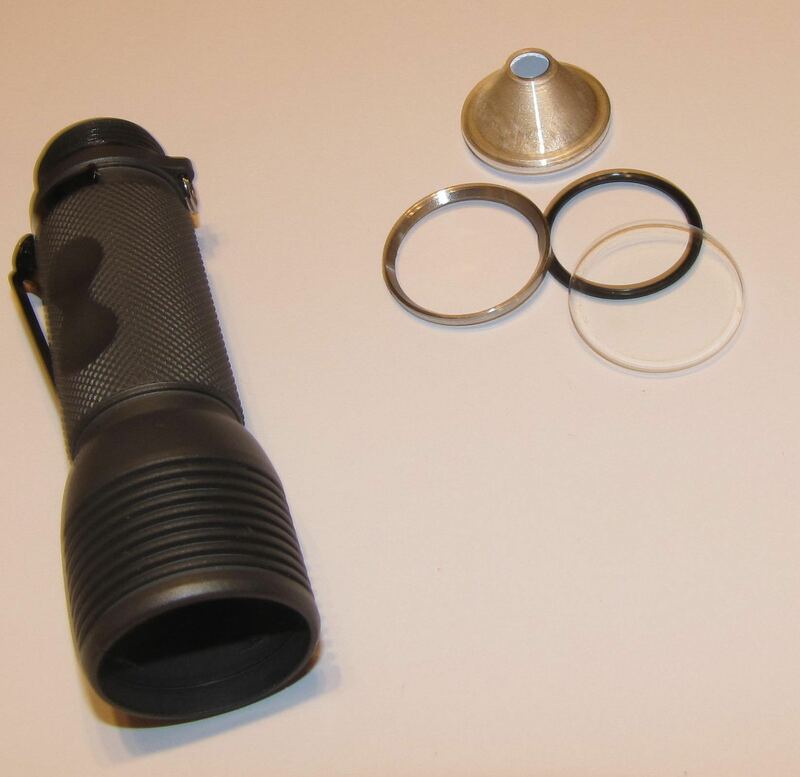 Looking forward to your review of the mod and beamshots if you’re able to post them. Not at all. The diameter is 25.5mm, the thickness is 1.5mm. Can you publish full sized photos? 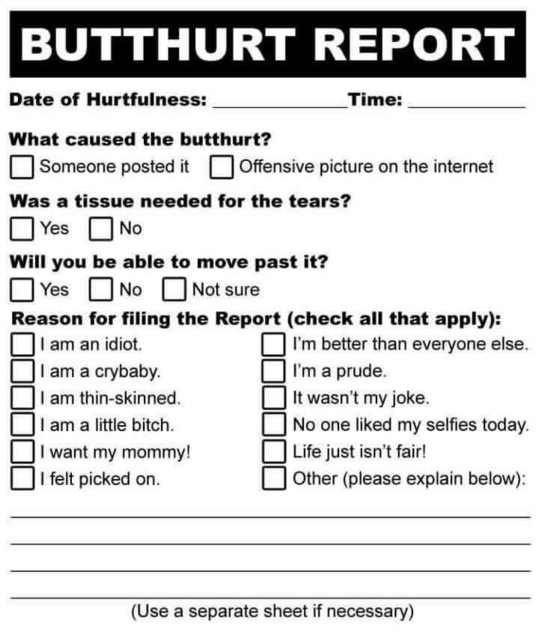 Sorry, i saw your post just now. Do you want to see anything in particular? I have also been wanting to do this. It’s the perfect EDC light. Driver PCB both sides and shape of tool you removed bezel. 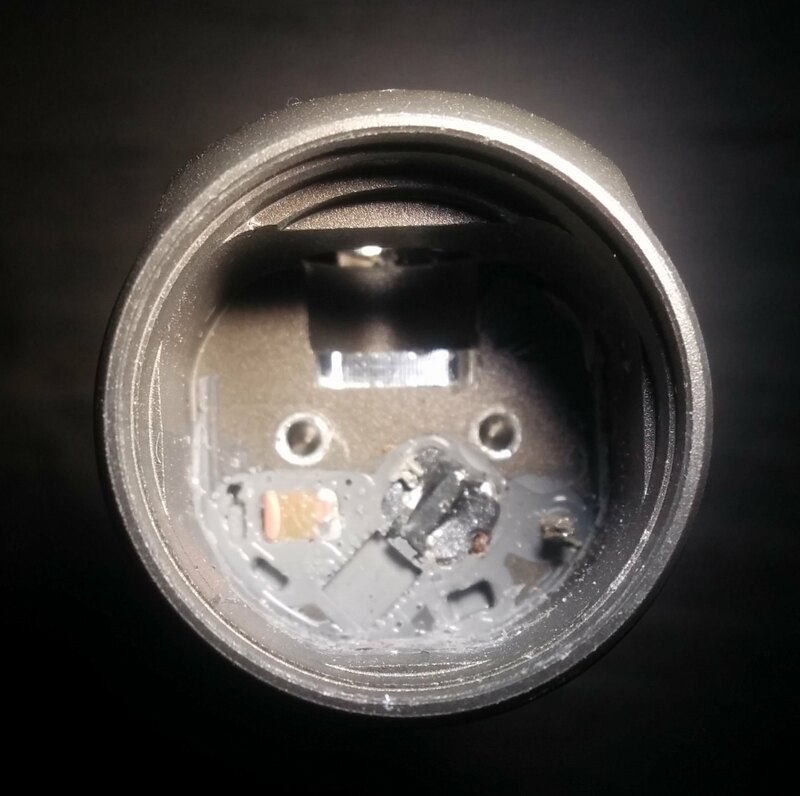 Bad news about the SC64c: Zebralight have slightly tweaked the bezel design and removed the lip where you inserted the tool. It obviously doesn’t prevent the mod, but it makes it makes visible damage to the bezel and a broken lens somewhat more likely with this method. Could I ask what temperature and airflow setting you used on your reflow station? I mostly work with 63/37 solder so I’m not sure if my usual settings are appropriate. The airflow was set to 4, the temperature to 400. I have not measured the actual temp of the hotair stream, so i don’t really know how accurate this setting is. We do not need to look at it. Effective, that is important. Do I spy a sense resistor? Also, I’m fascinated at the level of simplicity to this diver knowing it’s performance. Does anyone think we can reverse engineer this design? Are there proprietary components? indeed it look simple and it perform so well + efficient. Question for the Zebralight modders here. Has anybody tried installed Lee minus green filters underneath the glass? If yes, is it a tight fit to get the bezel and glass back on the light? Any way to get the filter installed security over the glass to prevent opening the light? I acutally spent some time thinking about this recently. With a press fit bezel and reflector I worry about the filter material shifting or wrinkling under the glass as it’s pressed against the o-ring or during use. The only way I might consider pressing the filter inside is if it were glued to the lens with something like UV LOCA, but I’ve never tried this and don’t know how well it would work. The other options are replacing the reflector with an optic so you have two surfaces to sandwich it between, or installing it over the glass with glue around the edge (or LOCA again I guess). The latter is described in a couple of old BLF comments. Bob_McBob, thank you so much. BLF is such a great resource and I keep on learning so much thanks to people like yourself. Sounds like putting it on the surface is a much better alternative, even if it means it may get scratched. Is there any particular UV LOCA glue that you recommend? I have some Lee filters on back order with Adorama. Will test them using this method as soon as I receive them! Very interesting. Great job guys. Wow, this looks fantastic! Great work, moridin. Would this technique work on an SC52w, or is the pill design different (due to size)? Also, what candidate replacement emitters could work in it? 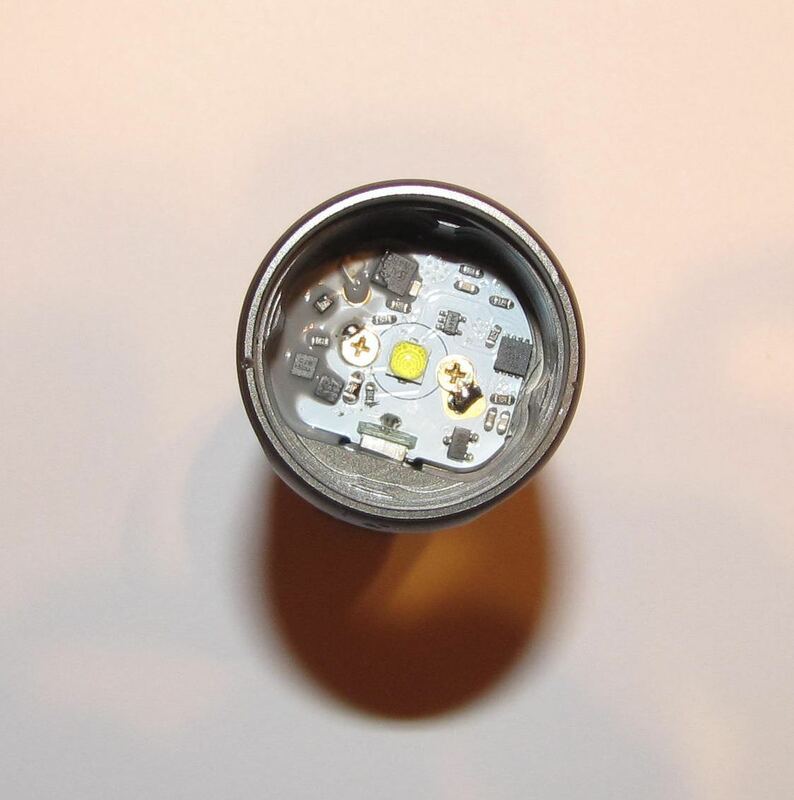 Any post-2011 or so Zebralight model should look similar inside. The big snag is Zebralight used XM-L2s in most of their lights before switching to XHP, so the only emitter swaps you can really do are a different CCT of XM-L2. You can’t even use XM-L2 EasyWhite because it’s a different voltage. Basically the same situation for all the XHP models. You can swap CCT, or install a HI instead of HD like moridin did. The only modern Zebralight models with interesting emitter swap options are the current generation ones that use XP-L2 like the SC64c. You can use any 3V emitter with standard XP pads like the 219B, LH351D, SST-20, etc.